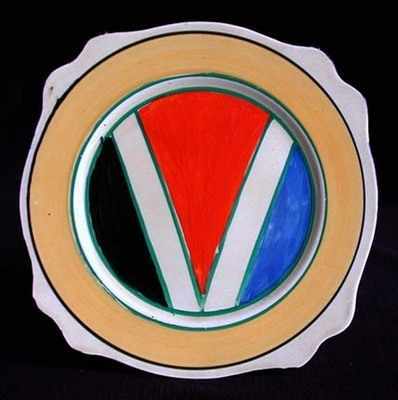 Small Plate in an Original Bizarre variation. Leda shape. Size 5.5 inches wide. No damage or restoration. Date stamped December 1929. Signed "Bizarre by Clarice Cliff".